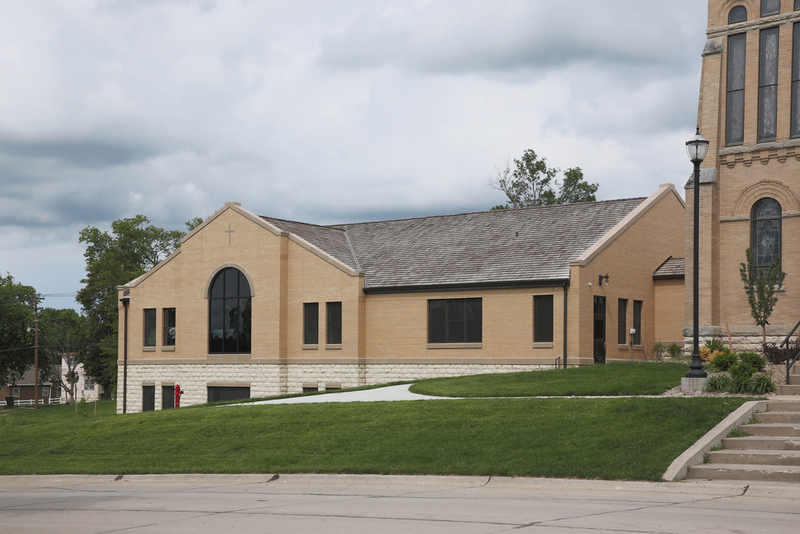 A large parish hall for historic St. Mary's parish in Sutton, NE was completed in the summer of 2013. The new hall replaces a relocated air base building that had served as the parish hall since 1945. With classrooms below and a large meeting room on the first level, the new hall will better serve the needs of the parish. Similar materials to the existing church were used on the hall so that the two would seamless blend together.